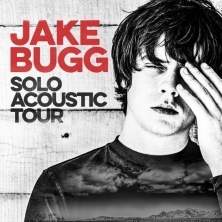 Jake Bugg returns to London with a solo acoustic show at the London Palladium, as part of his Spring UK Tour. The announcement comes in the wake of his most recent album, Hearts That Strain , going into the Top Ten upon release and just ahead of his sold out UK tour in November. Hearts That Strain saw Jake in Nashville, working with Grammy Award-winning producers David Ferguson and Matt Sweeney, recording with some of the best players in the history of popular music. Page generated in 0,213403 seconds.